STMicroelectronics released new ultra-low-power microcontroller - STM8L001 intended to be used in cost-conscious applications. It combines efficient 8-bit core with essential and effective peripherals, in the compact, low-pin-count SO-8 package. The up to six user I/Os allow engineers to take full advantage of the STM8L001’s optimized specification. In addition, the ultra-low-power technologies ensure frugal operation in all modes, cutting current to as little as 300nA in halt mode to maximize the lifetime of battery-powered devices. 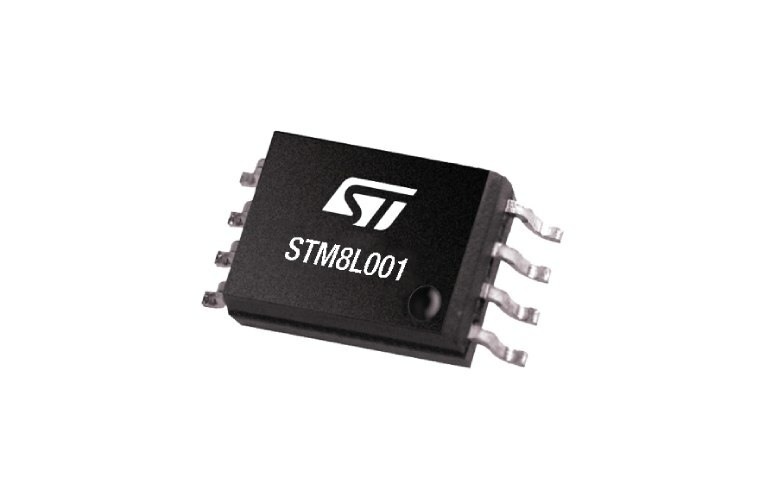 The STM8L001 is also flexible, operating from 1.8V to 3.6V, and fully specified from -40°C to 125°C to ensure reliability even in harsh conditions.